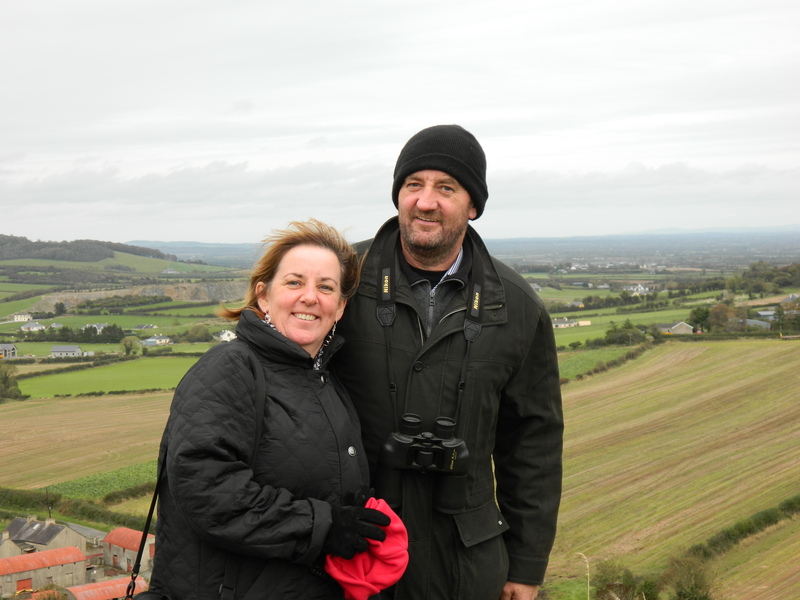 The entire Irish branch of the McCormack family tree is the best, and their warmth, humor, and hospitality make our visits to Ireland fantastic. But Jimmy and Helen are the ones who are usually stuck with the Yanks when we visit. They live on the farm in Ballyedmond, County Laois where my great-grandfather was born, so I suppose it is the natural place for us to end up. I could go on forever about Helen’s magnificent cooking and entertaining panache or Jimmy’s GSOH (Good Sense Of Humor for those of you who don’t read the personal ads in the Farmer’s Journal on Thursdays) but what makes them so special is their generosity. Whenever we visit, they invite us into their lives and make us feel welcome. Yes, we actually stayed in this castle. Our vacation went from disappointing to a fairytale in less than a day, thanks to Jimmy and Helen. It was a memorable couple of weeks. 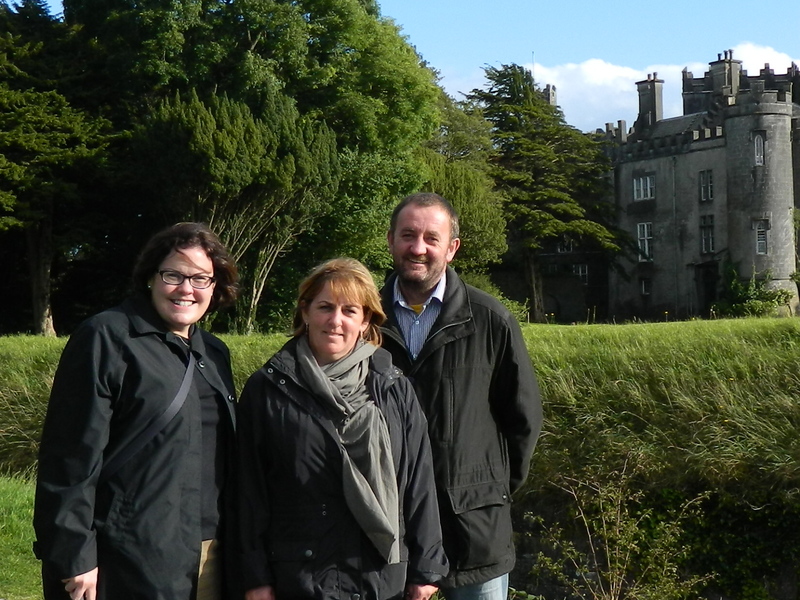 But even more memorable than a castle are the evenings spent at the farm in Ballyedmond, after a day of site-seeing and a glorious dinner by Helen, relaxing while Jenny or Sarah do their homework, deciding whether we will go to the pub. That is a tough decision, sometimes it even requires a vote by secret ballot. The pub usually wins. 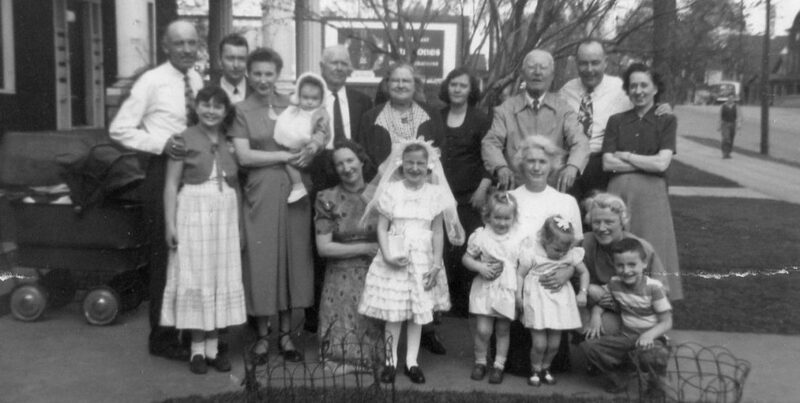 I am so fortunate to have family in Ireland like Jimmy and Helen, and all the McCormacks. Luckier still that they are my friends. Now, if I could only get them to come visit us in the States! Thanks for following my month of Irish favorites…hope you have enjoyed it as much as I have! Categories: Aine's Irish Faves | Tags: family, generosity, Ireland, Lisheen Castle, McCormack Family | Permalink. It’s been too many years since I’ve made it up to Sligo for a visit with my favorite butcher-turned-woodcarver, Michael Quirke. I have a couple of Michael Quirke’s gorgeous sculptures at home, so I am reminded of him so daily but I miss seeing him in his workshop and listening to him talk. When Michael Quirke describes his pieces and sets them within the mythology of Ireland, it is pure magic. I am transported to my childhood, when I considered folk tales to be true stories. The days before I got so “smart” and realized no one lived for thousands of years and no one could ever turn me into a swan. Regan and I each have a couple Quirke creations. Pictured on the right are Amhairghin (mine) and Queen Maeve (Regan’s). I love it when you walk in to the shop, inevitably just as someone else walks out, and Mr. Quirke looks up and welcomes you. He might look a bit tired, but one comment on a sculpture in the window is all it takes. He was just catching his breath. With a twinkle in his eye, he launches into a wonderful story. And when you decide on a purchase, you get to hear the story all over again – always with a new details and instructions for care – when he pulls out a piece of paper and a pencil and writes it all down for you. Regan and I visited Mr. Quirke for the first time in 1995 on instructions from our Aunt Eeny to buy a sculpture for her to add to her collection. She had visited him several years earlier. I don’t remember at the moment which one we picked out for Eeny, but Mr. Quirke told us the story, then told us again as he wrote it out, wrapped the treasure in brown paper, and tied it with twine. 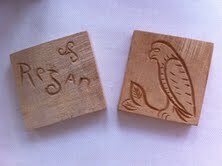 Then he asked us for our favorite animals, scrounged up a couple of scraps of wood, and carved the images of our favorites on one side, with our name on the reverse. Of course, more stories about our animals followed. I treasure this little square as much as the larger-scale sculptures. Visiting Sligo is a priority for my next visit to Ireland, and I can’t wait to take the journey through Irish folklore with Michael Quirke. Categories: Aine's Irish Faves | Tags: butcher, Ireland, Irish Folklore, Michael Quirke, mythology, Sligo Town, woodcarver | Permalink. I love Cobh. 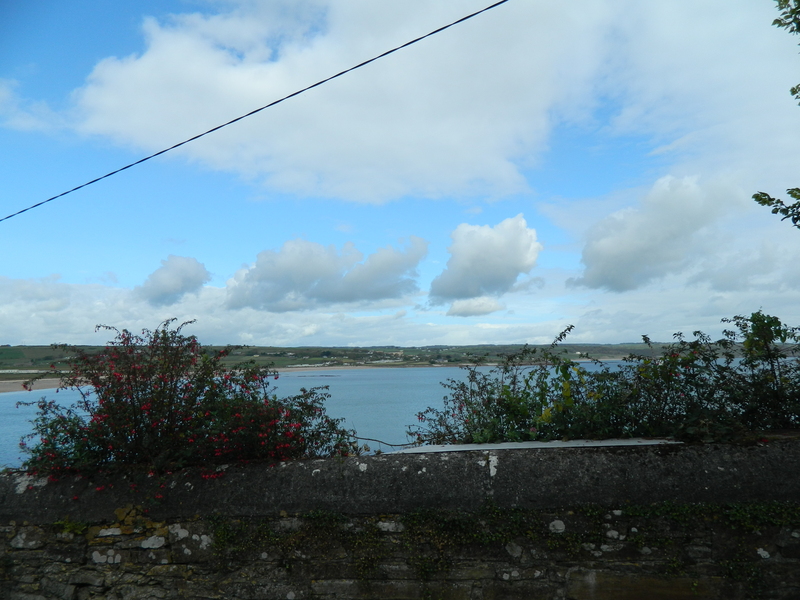 I wrote about the harbor town in County Cork here. 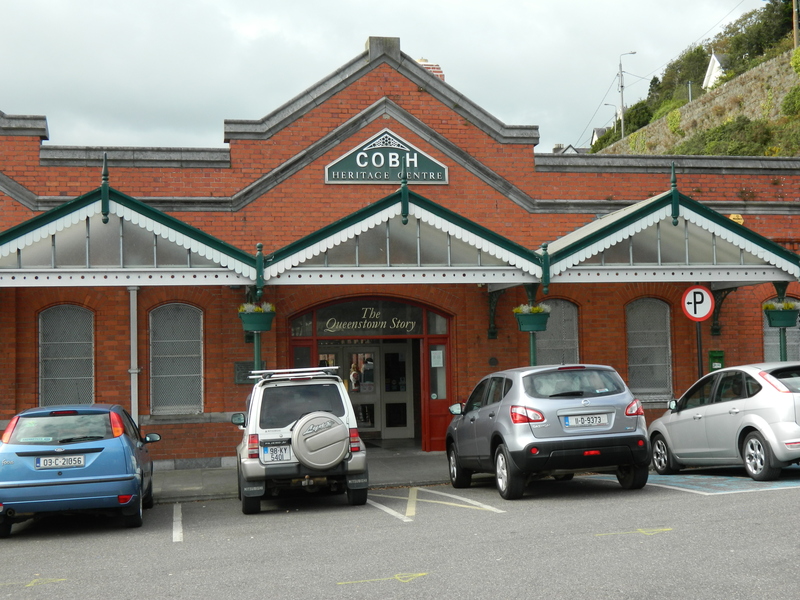 Cobh was the last of Ireland seen by millions of Irish leaving home for new lives in North America. For this reason, it was called the saddest town in Ireland. As a visitor from America, the exhibit is a powerful reminder of the hardships endured by my ancestors, especially those who left Ireland in the years surrounding the Great Famine. 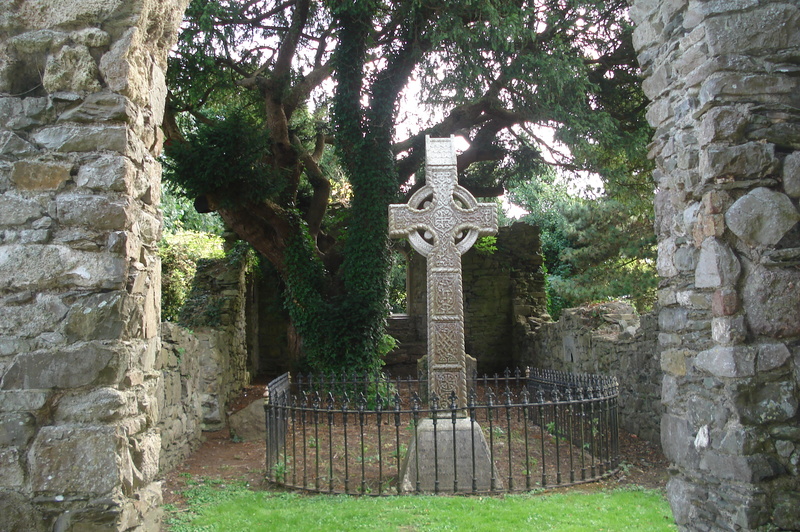 I suspect it is as moving for Irish visitors, as they consider their country’s history, as well as their own personal connections to those who left. 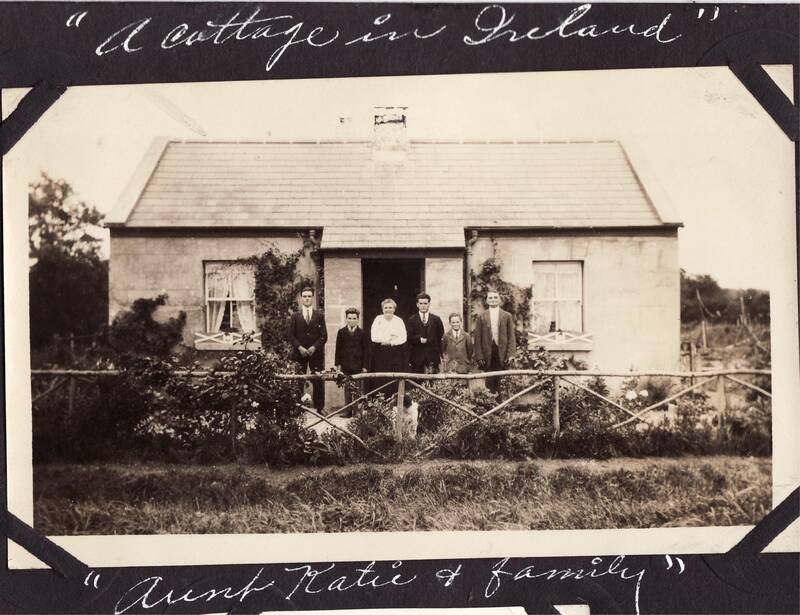 For many Irish Americans, there is no old homestead to return to in Ireland, no family to invite them “home” for a gathering. Too many years have passed, and those who emigrated were forgotten generations ago. But this doesn’t stop us from visiting Ireland and searching for our Irish roots. 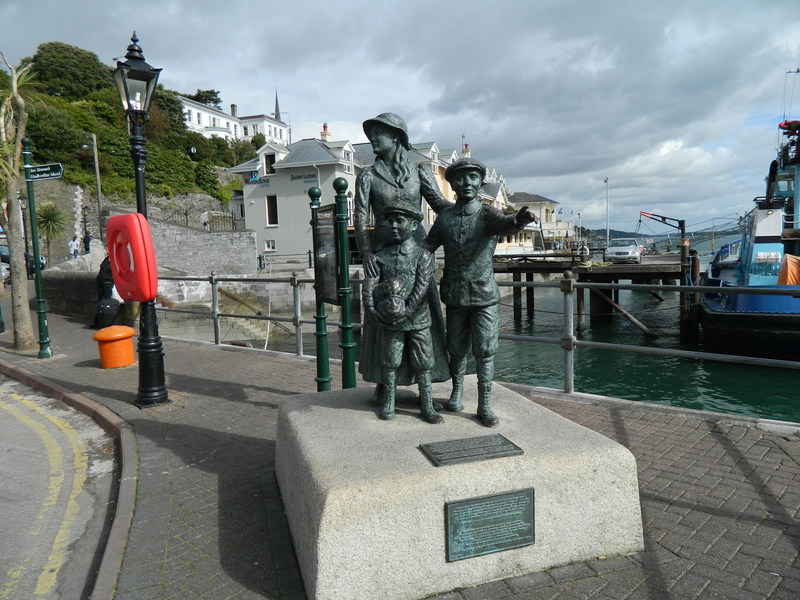 In keeping the emigrant story alive, Cobh celebrates the connection between Ireland and America. 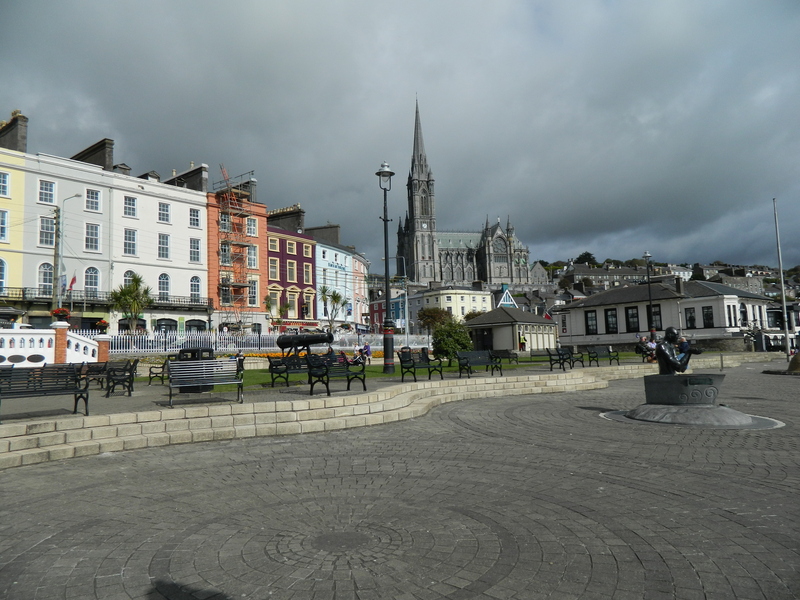 Cobh will always be there to welcome us back, and that is why it is a special place for me. Categories: Aine's Irish Faves | Tags: Cobh, Cobh Heritage Centre, diaspora, The Gathering, The Queenstown Story | Permalink. I saw this beautiful print on a website a couple of years ago and fell in love with I Love Mayo – the company owned by talented artist Jane Steger-Lewis. Jane is based in the west of Ireland, on County Mayo’s Achill Island. Image from www.ILoveMayo.com – click to visit the website! I sent out I Love Mayo Christmas cards in 2011. I have never received more compliments on a Christmas card. Click here to see the whimsical and very special cards. I am a huge fan of her “Irish Blessing” series of prints – they are a beautiful and super versatile for gift-giving. Birthdays, anniversaries, weddings, retirements…you name it. Click here to see the full selection prints. Someday I hope to own a Jane Steger-Lewis original painting…I have my eye on Beaky, Dozy, or LaToya! I’m not posting pictures of these items here on purpose – I want you to go straight to Jane’s website and see all of her gorgeous work. Jane is as delightful as her artwork. She is truly a pleasure to do business with. I think everyone should have a little piece of Ireland in their home, and ILoveMayo.com makes this possible. Thanks, Jane, for making my world a bit brighter! Categories: Aine's Irish Faves | Tags: Achill Island, I Love Mayo, Ireland, Jane Steger-Lewis, Mayo, paintings, prints | Permalink. There are other Johnstowns in Ireland, but I am talking about Johnstown in County Kildare. I would love this village even if I had no connection to it. 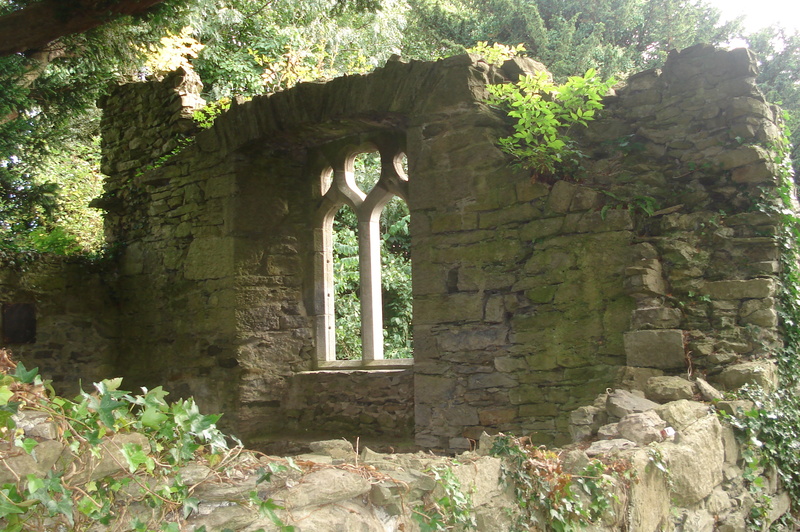 The picturesque ruins of the medieval St. John’s Church (above) are one reason the village is so appealing. Another reason is the village’s sense of history. 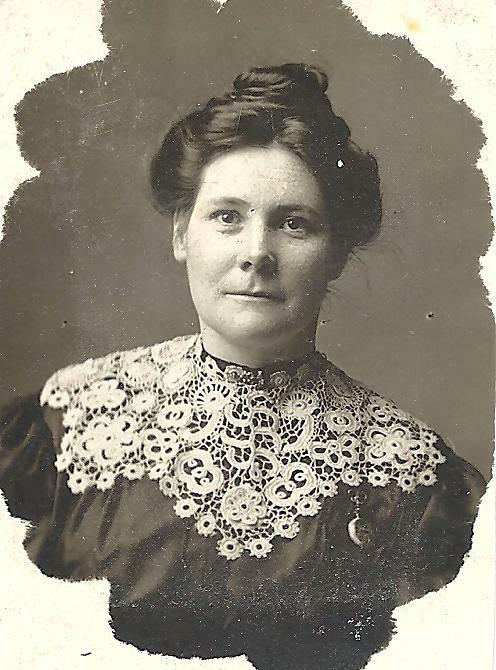 Several years ago I met Brian McCabe – Johnstown’s local historian – when I was researching my great-grandmother Annie Hill Regan. Annie was born near Johnstown, and her sister lived in the village. When we visited in 2009, Brian was a wonderful guide, telling us what Johnstown would have been like in the late nineteenth century when Annie knew it, before she left for America. Brian shared the rich history of Johnstown. 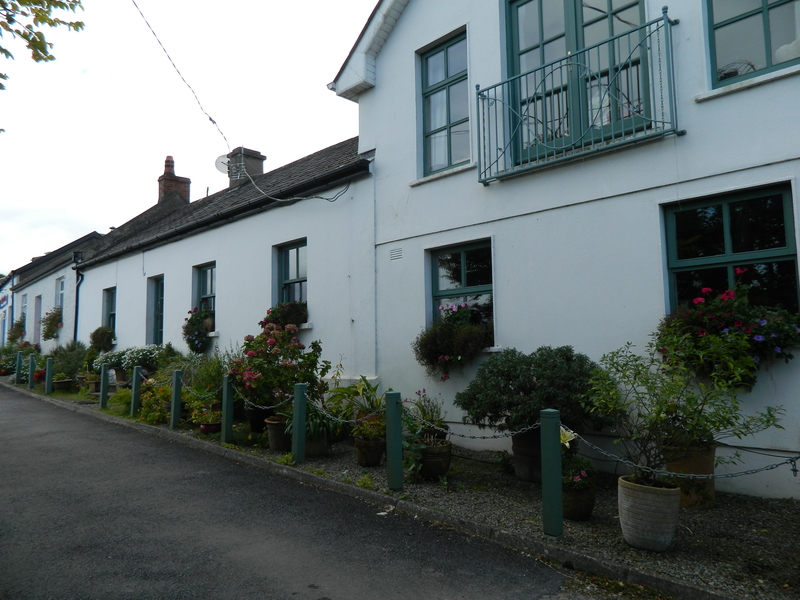 Since the village is just 25 miles from Dublin, it is popular with people who commute to work in the city, with several large housing estates and new construction. But Brian is very knowledgeable about Johnstown’s past and place in history. He told us all about Palmerstown House and the Earls of Mayo. And of course, he covered the 6th Earl of Mayo who died in India in 1872 and is buried in the churchyard. He is known as the “Pickled Earl” since his body was preserved in a vat of rum on the long journey back to Ireland following his assassination. Johnstown is a lovely, peaceful village in the midst of motorways and urban sprawl. The community values its history, and it shows with the beautifully maintained public areas and the handy signs marking buildings of interest. I am always impressed when people are truly dedicated to preserving their history, and when it happens to be a bit of my personal history, all the better! Categories: Aine's Irish Faves | Tags: Annie Hill Regan, Earl of Mayo, Johnstown, Katie Hill Howe, Kildare, Palmerstown House, Pickled Earl | Permalink. Think I am running out of favorite things? Not a chance! I have saved the best for the last seven days. 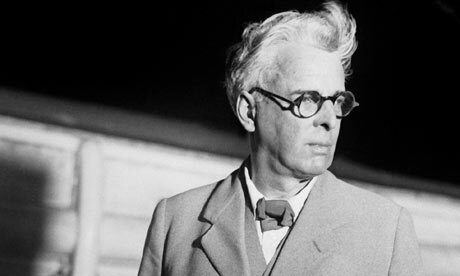 William Butler Yeats has been my favorite Irish poet for a long time. I guess I am not very original in my love for Yeats, but I don’t care. It just does not get any better. In college I had to memorize and recite a poem in a literature course. This assignment mortified me, but I chose this poem, and everything was fine. 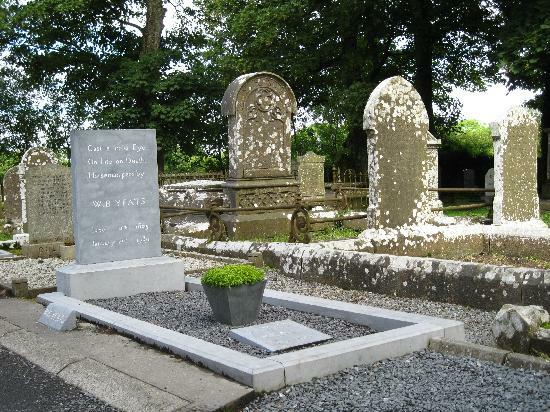 Categories: Aine's Irish Faves | Tags: For Anne Gregory, poetry, Sligo, Yeats | Permalink.